Get a Brilliantly White Smile in Two Visits! Is your smile filled with imperfections that no amount of cleaning seems to remove? Are your teeth significantly discolored, chipped, cracked or look less appealing than you would like? Some cosmetic treatments can do the trick, but there are few treatments as comprehensive as porcelain veneers from Dr. Friedman and Dr. Fariba! During your consultation, they’ll make sure to meet all your needs and get your smile looking the way you’ve always dreamed. Contact us today to get started! 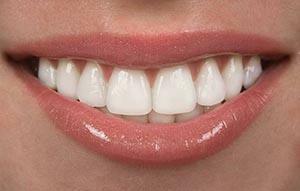 Porcelain veneers are ultra-thin sheaths of dental ceramic that are designed to sit on the surface of teeth. 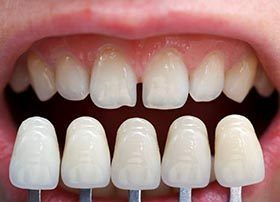 Since veneers are placed for cosmetic purposes, they are only placed over the visible portions of teeth. Each veneer is custom-made to fit over your teeth exactly and blend in with the rest of your smile. This way, we can avoid the risk of creating “chiclet teeth,” a phenomenon that was common among veneers of the past. Most dental practices only offer one type of veneer, but we offer two types depending on your needs. During your consultation, our dentists will walk you through the differences in more detail. However, it’s worth exploring the notable differences prior so you can be better prepared. 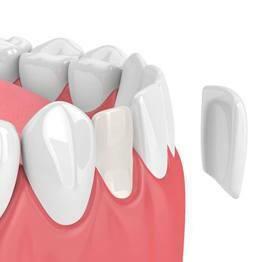 These are the most common types of veneers and require removal of tooth enamel in order to place. While the amount removed is very limited, it’s still more than likely going to be necessary. Make sure that you’re okay with permanent removal of part of your enamel before placing. One of the most notable benefits of minimal-prep veneers is that more often than not, they require no removal of enamel to place. If you don’t have much enamel to spare or you have issues with sensitivity, this may prove to be a more viable cosmetic option. After completing your examination, the dentist will numb the area around the teeth you’d like to have covered, then begin buffing down the enamel so that the veneers will sit flush. If you chose minimal-prep veneers, then we may skip this step. After preparation, we’ll take an impression of your smile and send that mold to a dental lab for fabrication. During the two-week period it takes to create them, you’ll wear temporary veneers to help you get used to your new smile. Once created, you’ll come back to the office to have your permanent veneers placed. Furthermore, veneers are naturally stain-resistant. This is in large contrast to natural teeth which usually have many microscopic scratches and crevices, making them highly susceptible to stains.